Getting ready for an interview? From the way you walk to the way you talk, everything will be noted. You must appear as a confident person but not overconfident. Talk about leaving an impression ha! Amidst all this, your appearance is what matters a lot too. There’s no doubt in that. And what better than an outfit that will build your aura in style. 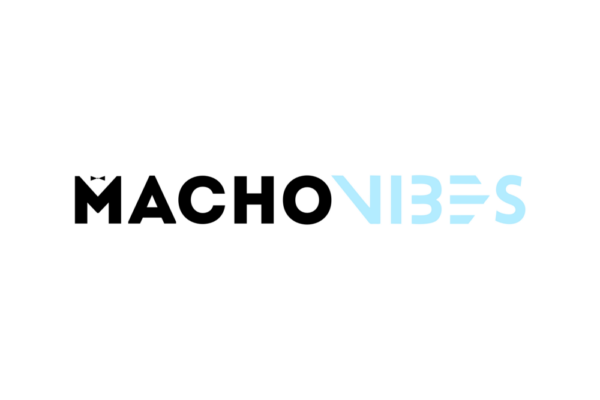 Get ready with these Perfect Interview Outfits to leave a Positive Impression. In the interview, you need to look sharp, smart and polished. Believe me when I say that the person in front of you can judge you by anything, like from your shoes to your watch. No matter how much you know about the job, you must look like a man who knows his job better than anyone. Sleek appearance and sharp mind; show them your caliber with a power outfit. 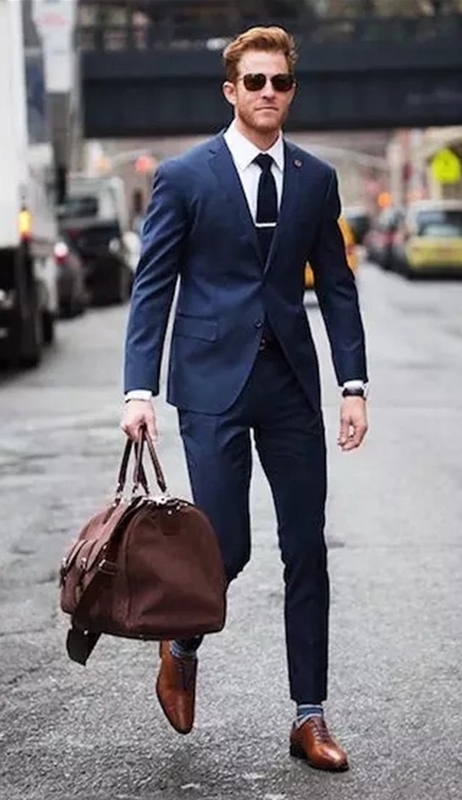 Suits are the best power outfit for men. A man well clad in a sharp suit is well worth looking which eventually makes him appear more smart and polished. And that’s exactly a company looks for in an employee. While getting ready for an interview, a suit is the best option for you. 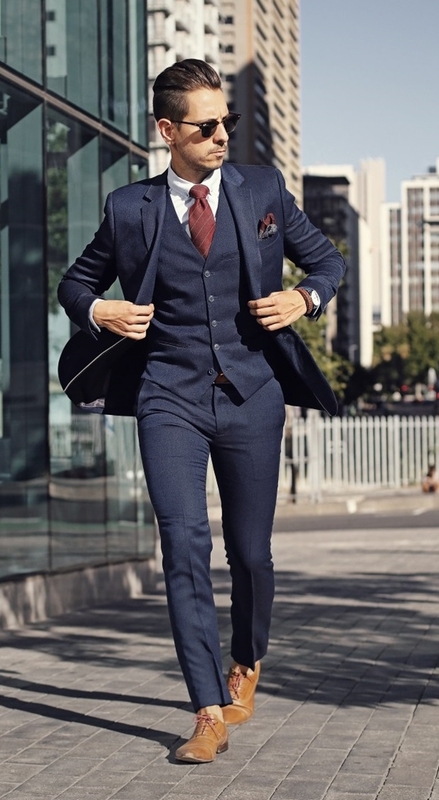 You can also choose a three-piece suit with a well-tailored vest. Opt for the dark shades such as grey, charcoal, black, and navy. It’s your interview, not your dad’s! So why will you wear your father’s suit? Wearing a suit is not that easy as it seems. A man looks dapper in a suit only when the suit is made for him and him only. It means that the suit must fit you in all the right places or you might end up looking boxy. 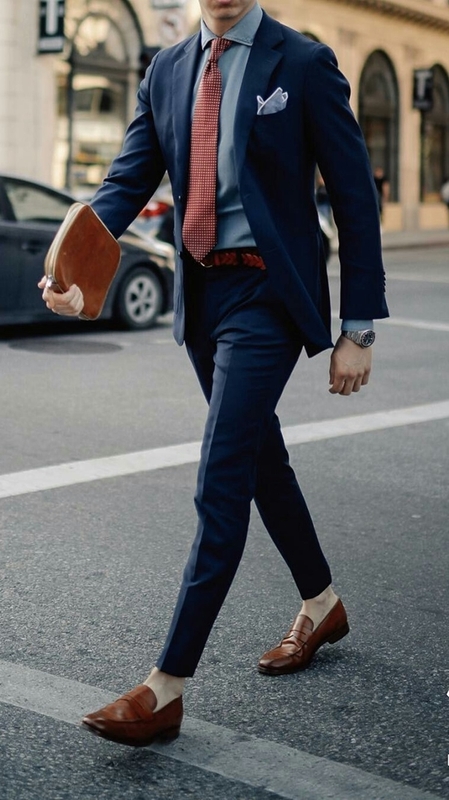 Not just the suit but your shirt, tie and shoes are important as well. There’s actually a lot more to think before you decide the tie. Your shirt must compliment your suit. Wear a crisp ironed shirt that will fit you properly and pair a tie with a sleek look. Oxford shoes are the best when it comes to suits. A gentleman look is achieved with all things right. 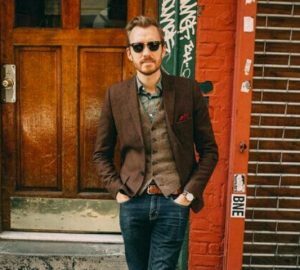 Think and only decide to opt for a casual look when you have thoroughly researched the company and thus have concluded that the casual look is indeed fine to wear for your interview. While going for casual you don’t want to end up in the office looking like a college boy. So no t-shirts! Only collared shirts will pass here. It’s an interview after all. Blazers are optional here. Also, if you are wearing jeans, go for dark denim. 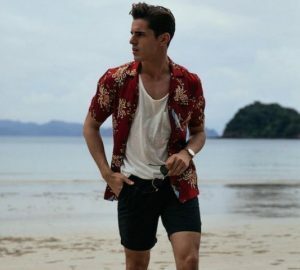 Many men wear shirts with the rolled up sleeves. See here to know how to do it correctly. Business casual outfits will do when you are preparing for an interview. In business casual attire, you can wear a shirt with tie or no tie and trousers. Put on a blazer that will enhance the total attire and wear polished shoes. You’ll be fine. 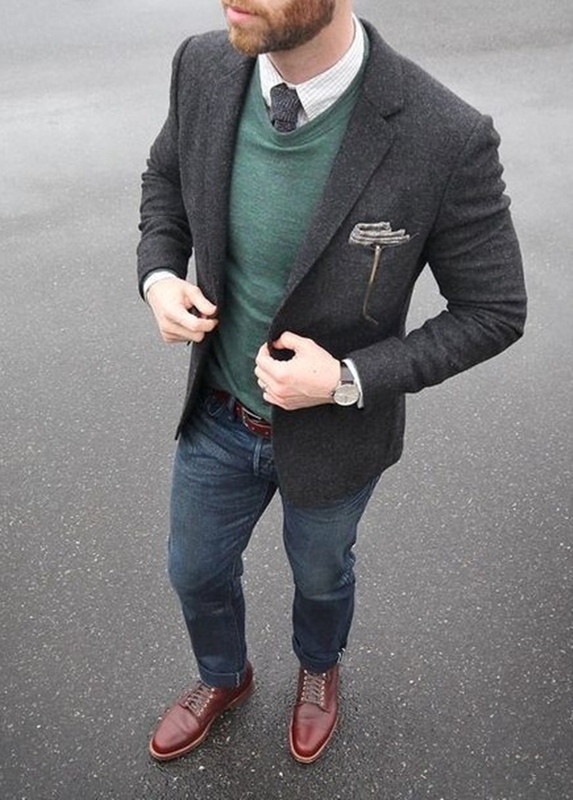 For a unique look, you could opt for a dress shirt and dress pants under a nice sweater. No funky colors though. Choose a crisp white shirt and black or navy dress pants with a matching sweater. A cardigan will pass too with dress shirt and pants paired with a burgundy tie. 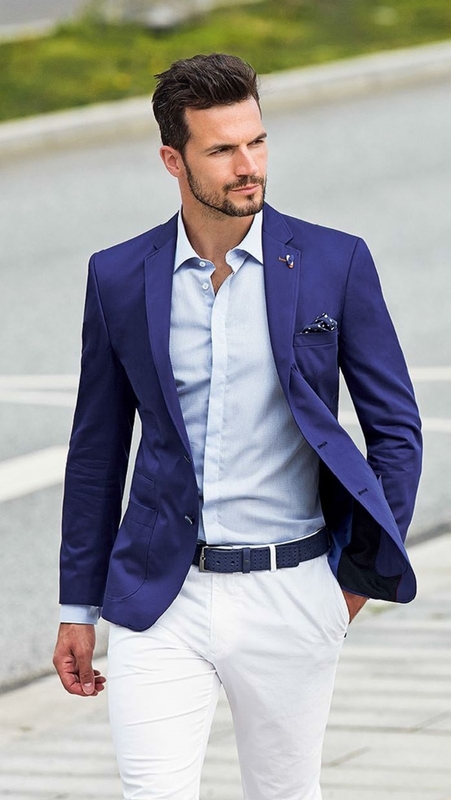 In a simple pair of dress pants and shirt, a blazer will add more flair to it. 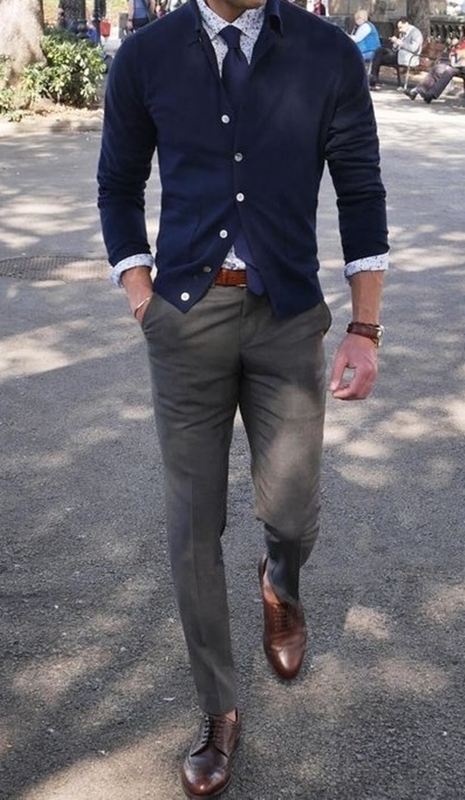 Blazers will give you a more polished look. So if not a suit then simply adding a blazer will totally do it for you. 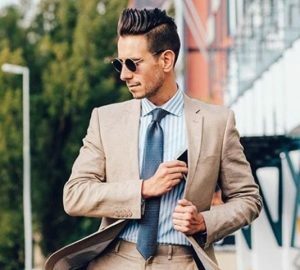 While white shirts are always in for formal attire, try shirts in other lighter tones to set a unique personality. And then pair a perfect blazer that will compliment it. Sneakers are comfy and the best but it will ruin it for you if you are going for an interview. You must look polished and hence no sneakers. But if you are sure that the casual attire is a no problem then you can opt for dressy sneakers. Oxfords, Derby shoes, Brogues, monk straps, loafer shoes, and dress boots are some of your best options to pair up with your outfit. Men’s accessory might be limited but it adds more finesse to their persona. A man well clad in dapper suit oozes confidence and power. Adding cufflinks and smart and strong watches only enhances his charisma. 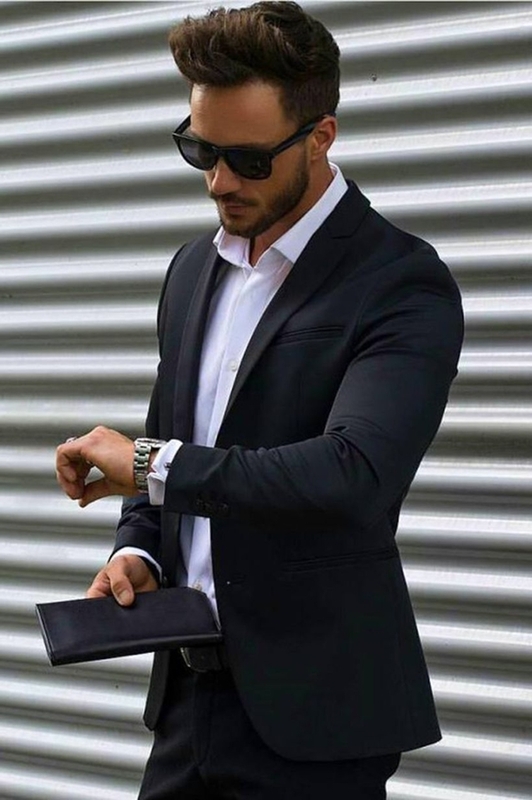 The cuffs add more flair and the watch gives an impression of a man who values time. The belt that you will choose also contributes to making an impact. So choose belts with proper width and shades. Since, it’s an interview no woven belts, please. Men’s clothing options are really very limited. But even with few options, you could leave an everlasting positive impression in the interview. You are not going to get another chance, so hit it while the iron is hot. Dress dapper and speak like a gentleman. They wouldn’t be able to turn you down!